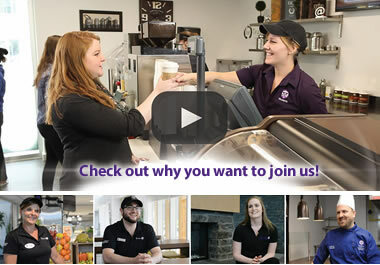 Thank you for your interest in becoming a member of the Hospitality Services team. We are looking for dynamic and innovative individuals who are customer service-oriented to join our award-winning team of professionals. Experience in the hospitality industry would be an asset but is not a requirement as we do offer an extensive training program. Whether you are looking for a career or simply a supplementary income, we're sure you will find an employment experience with us a rewarding one. It is our objective to offer our staff competitive wages, training, benefits and rewards for a job well done, and the ability to advance within the organization. To apply for any position at Western, you will need to register an account. Click here to register. Good luck and thank you for your interest. If you have any questions, please contact us at hspersonnel@uwo.ca.